Thomas Fowell Buxton was born at Castle Hedingham, Essex on 1st April 1786. His mother was a member of the Society of Friends and she introduced him to the famous Quaker family, the Gurneys from Norwich. Thomas became a close friend of Joseph Gurney and his sister, Elizabeth Fry. Although a member of the Church of England, Buxton began attending meetings of the Society of Friends with the Gurney family. After studying at Trinity College in Dublin, Buxton married Joseph's sister, Hannah Gurney in 1807. Buxton became involved in the Quaker campaign for social reform. This included raising money for the weavers in London who were suffering from the economic consequences of the textile factory system. Buxton's biographer, Olwyn Mary Blouet has pointed out: "In 1808 Buxton joined the brewers Truman, Hanbury & Co. of Spitalfields, London, where his maternal uncle was a partner. His mother had stressed the importance of philanthropy and, encouraged by William Allen, he became involved in various charitable activities in Spitalfields, especially those connected with education, the Bible Society, and the relief of distressed weavers. He defended the Bible Society in 1812 against the attacks of Herbert Marsh, bishop of Peterborough. In 1816, when hunger was widespread in Spitalfields, Buxton delivered a forcible speech, based on his own investigations of conditions, at a meeting at the Mansion House which raised £43,369." Buxton also supported Elizabeth Fry and her work for prison reform. In 1817 he joined Fry's Association for the Improvement of the Female Prisoners in Newgate. The following year he published An Inquiry into Prison Discipline, a book based on his investigations of Newgate Prison. The book went through five editions in a year and was translated into French and widely circulated in Europe. Its publication led to the formation of the Society for the Reformation of Prison Discipline, of which Buxton was a committee member. In 1818 Buxton was elected as MP for Weymouth. His friend, Joseph Gurney, wrote to him arguing: "Do not let thy independence of all party be the means of leading thee away from sound Whiggism. Let us take special care to avoid the spirit of Toryism. I mean that spirit which bears the worst things with endless apathy, because they are old." In the House of Commons Buxton worked for changes in the criminal law, prison reform and the abolition of the slave trade. In 1820 he became involved in the campaign to abolish capital punishment. He argued that "to inflict death needlessly, can be called by no other name than that of legal murder." Although he never achieved this, he was largely responsible for reducing the number of crimes punishable by death reduced from over two hundred to eight. Following the deaths of his eldest son and three daughters, during an outbreak of whooping cough, he moved with his wife and four remaining children from Hampstead to Cromer Hall in Norfolk. Later, another son died of consumption. In 1823 Buxton helped form the Society for the Mitigation and Gradual Abolition of Slavery. In a speech in Parliament he argued: "The slave sees the mother of his children stripped naked and flogged unmercifully; he sees his children sent to market, to be sold at the best price they will fetch; he sees in himself not a man, but a thing - an implement of husbandry, a machine to produce sugar, a beast of burden!" His biographer, Olwyn Mary Blouet, pointed out: "In May 1823 Buxton began the parliamentary campaign against colonial slavery by introducing a motion in the House of Commons for the gradual abolition of slavery. It was carried with the addition of some words proposed by Canning to protect planters' interests. The government issued a circular to colonial authorities, recommending ameliorative reforms, but the proposals needed the support of colonial legislatures, which was not forthcoming." After William Wilberforce retired in 1825, Buxton became the leader of the campaign in the House of Commons. Buxton, with the help of Thomas Clarkson, set about collecting information about slavery and compiling demographic statistics. In a speech on 23rd May 1826 he described the conditions on board a slave-ship: "The voyage, the horrors of which are beyond description. For example, the mode of packing. The hold of a slave vessel is from two to four feet high. It is filled with as many human beings as it will contain. They are made to sit down with their heads between their knees: first, a line is placed close to the side of the vessel; then another line, and then the packer, armed with a heavy club, strikes at the feet of this last line in order to make them press as closely as possible against those behind... Thus it is suffocating for want of air, starving for want of food, parched with thirst for want of water, these poor creatures are compelled to perform a voyage of fourteen hundred miles. No wonder the mortality is dreadful!" On 15th April 1831, Buxton introduced his resolution for the abolition of slavery, but once again this attempt at legislation failed. The 1832 General Election resulted in a reforming Whig government. 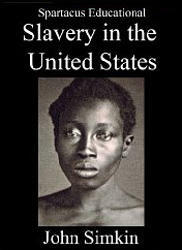 The House of Commons now passed a measure to end slavery in the colonies. The Slavery Abolition Act received the royal assent on 23rd August 1833. The colonial legislatures carried the act into effect, and emancipation day was 1st August 1834. In 1839 Buxton published The African Slave Trade and Its Remedy. 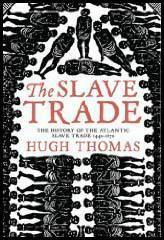 In the book Buxton urged the British government to make anti-slave trade treaties with the different rulers in Africa. The government accepted Buxton's suggestion and in 1841 they sent an expedition to the Niger River Delta. A missionary headquarters was established and negotiations began but the party suffered so many deaths from fever they were recalled to London. Although Buxton did not accompany the group, it was later claimed that his health was affected by the failure of the project. Thomas Fowell Buxton died at Northrepps Hall, Norfolk, on 19th February 1845, and was buried in the ruined chancel of Overstrand Church. 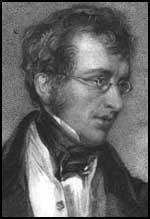 (1) Thomas Fowell Buxton published An Inquiry into Prison Discipline in 1818. William Wilberforce read the book and sent a letter to Buxton. I hope you will come soon into Parliament, and be able to contend in person, as well as with your pen, for the rights and happiness of the oppressed and the friendless. I claim you an an ally in this blessed league. (2) In July, 1818, Thomas Fowell Buxton was elected to represent Weymouth in the House of Commons. His friend, Joseph Gurney, wrote a letter of congratulations. Do not let thy independence of all party be the means of leading thee away from sound Whiggism. Let us take special care to avoid the spirit of Toryism. I mean that spirit which bears the worst things with endless apathy, because they are old. (3) In a letter to Joseph Gurney in 1819, Thomas Fowell Buxton described the House of Commons debate on the Peterloo Massacre. We have had a wonderful debate. All the leaders spoke, and almost all outdid themselves. But Francis Burdett stands first; his speech was absolutely the finest, and the clearest, and the fairest display of masterly understanding, that ever I heard; he did not utter a sentence to which I could not agree. (4) Thomas Fowell Buxton wrote to his uncle about the Peterloo Massacre in 1819. I most strongly condemn the conduct of the ministers, in giving them public thanks; and I think in justice, as well as in common prudence, that wretched affair ought to be strictly scrutinised, and it will be very awkward if he should turn out that these magistrates, having been thanked, deserve to be punished. (5) In February, 1821, Thomas Fowell Buxton made a speech in the House of Commons on the subject of capital punishment. In 1807, forgery of stamps was made a capital crime. And, the question is, with what effect? The solicitor of the excise declared the change to be a change for the worse. In 1811 the linen bleachers came to Parliament praying for a mitigation in the law against stealing from bleaching grounds. With what effect? I will take the last five years during which the crime was capital and the last five years during which it has not been capital. We have done as well without as with capital punishment. To inflict death needlessly, can be called by no other name than that of legal murder. (6) In 1821 the daughter of Elizabeth Fry wrote about the speech in the House of Commons on capital punishment given by her brother-in-law, Thomas Fowell Buxton. The slave sees the mother of his children stripped naked and flogged unmercifully; he sees his children sent to market, to be sold at the best price they will fetch; he sees in himself not a man, but a thing - an implement of husbandry, a machine to produce sugar, a beast of burden! The voyage, the horrors of which are beyond description. For example, the mode of packing. The hold of a slave vessel is from two to four feet high. It is filled with as many human beings as it will contain. They are made to sit down with their heads between their knees: first, a line is placed close to the side of the vessel; then another line, and then the packer, armed with a heavy club, strikes at the feet of this last line in order to make them press as closely as possible against those behind. And so the packing goes on; until, to use the expression of an eyewitness, "they are wedged together in one mass of living corruption". Thus it is suffocating for want of air, starving for want of food, parched with thirst for want of water, these poor creatures are compelled to perform a voyage of fourteen hundred miles. No wonder the mortality is dreadful!